Thinking of an iPhone case as just that – a case – is antiquated. Rokform, a 2012 CES design award nominee, has taken mobile accessories to the next level with a system of connected accessories, for your accessory. 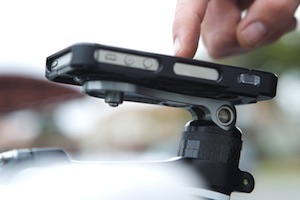 The system begins with the Rokbed v3 case for iPhone and expands from an attachable bottle opener to a camera stand. An injection molded polycarbonate frame is sturdy and rigid, offering protection from all six sides, while still allowing access to all ports, buttons, and SIM tray. The Rokbed is a two-piece, slider design, with the lower portion clicking into place, making it fairly difficult to separate the two pieces once attached. Preventing the case from slipping, the back side features a thermoplastic elastomer non-slip grip insert and is great for a car dashboard. 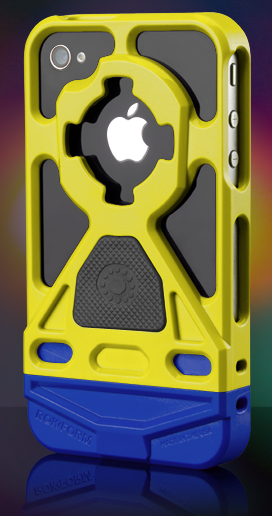 The reverse side is molded with the v3 accessory connection point, giving the case a life far beyond simple iPhone protection. The included accessory is the Remote Mounting System which is a puck-like device with a none-residue adhesive strip. Place the RMS on any surface and the v3 case will lock to the disc. The integrated system of accessories, however, is a much longer list of highly useful products. To begin, the Magnet Kit fits into the rubber non-slip grip on the back side of the case, easily making the case more versatile for the kitchen refrigerator or even the toolbox in the garage. 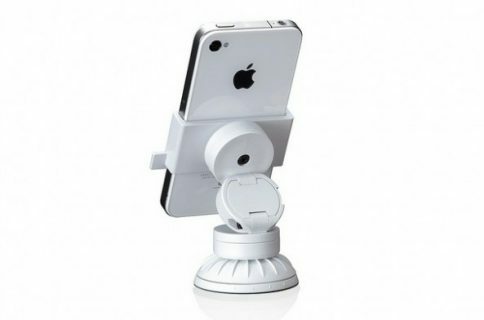 A Tripod Adapter, locks into the v3 connection point to hold the iPhone steady for picture. 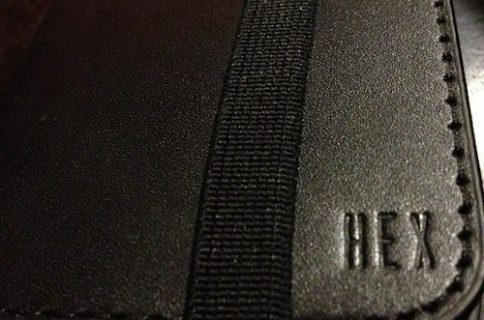 To make sure your iPhone stays where it belongs during activities, lock the Sport Clip to a belt, bag, or pants pocket. If you constantly find yourself in need of a bottle opener, try the Rokmeister… or if you need a bottle opener and you are a golfer, the Rokmeister-Turf will suffice. Finally, if you are looking for an easy way to mount your v3 case to a non-metallic surface, pick up a Lil Rok. The Rokbed v3 Custom ($49.00 at Rokform or $27 from Amazon) comes in an assorted variety of colors, which you can choose during the ordering process. As you can see, the case is much more than a protective accessory for iPhone; instead, the v3 line is a completely integrated set of connected accessories, each adding value to the foundation. I have used a v3 case in the past thanks to my friends over at Rokform and greatly enjoyed its protection and versatility. With such a wide-variety of options, it is hard to say no to this purchase. Coming with a high recommendation, take the extra time to check out their entire line of quality products. Let us know in the comments below how you will use your Rokbed v3 Custom! A winner will be picked and contacted by Friday via Twitter DM. Good luck to everyone, and thank you to our friends at Rokform for making this amazing giveaway possible. Keep your eyes out for another upcoming Rokform giveaway on iDownloadBlog! And the winner is @weberg. A DM was sent to the winner with further instructions. We’re going to have another awesome giveaway soon so stay tuned!